We sell and ship Billy Goat LB Vacuum Parts! Billy Goat has been in business over 45 years designing and manufacturing equipment to fit the needs of the outdoor industry. Their reputation of integrity, durability, and innovation marks them as a vital player in the lawn and garden market place. Billy Goat has an extensive line of wheeled vacuums built for numerous applications and available in various sizes. The Billy Goat LB, or Little Billy, is an older leaf vacuum production model. Although it is no longer available as a new unit from the manufacturer, many OEM replacement parts are still available to maintain and repair the LB vacuum. ShanksLawn.com is an authorized Billy Goat dealer and still stocks many replacement parts for the LB351 and the LB61. 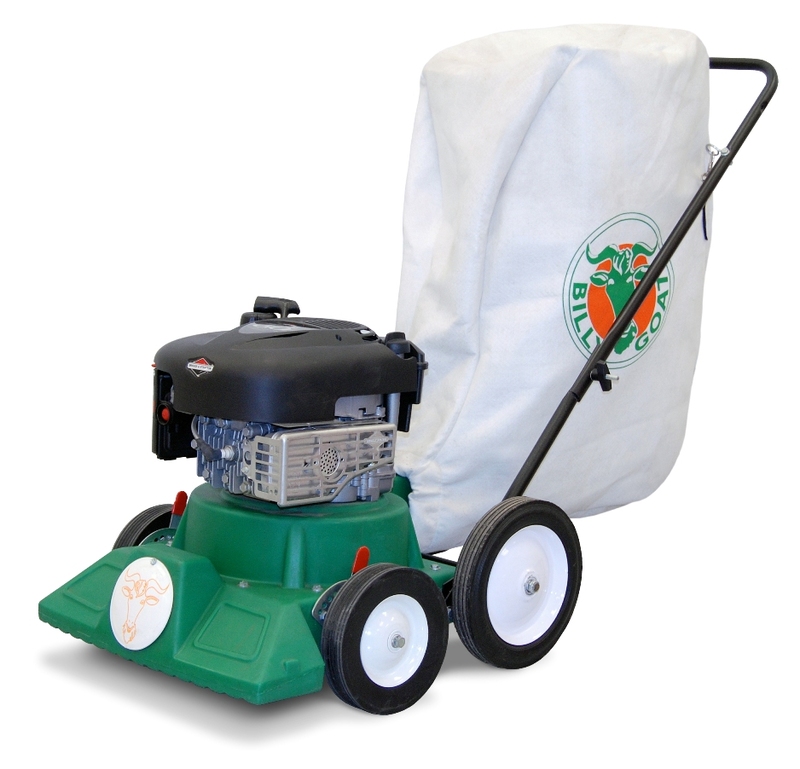 Replacement hardware, wheels, debris bags, and engine parts are available for the LB leaf vacuum. Optional accessories are also available. A 4 inch hose kit (Part No. 900460) adds versatility vacuuming in hard to reach places with its 7 foot length. Two 4 foot lengths of hose (hose not included) can be connected for longer reach with the Hose Connector Kit (Part No. 890045). The Standard Debris Bag (Part No. 900722) collects leaves and grass clippings from the vacuum. At BillyGoatParts.com, we stock the OEM parts you need to service or repair the LB vacuum. Use the easy Online Part Lookup Tool to find replacement parts quickly and easily.